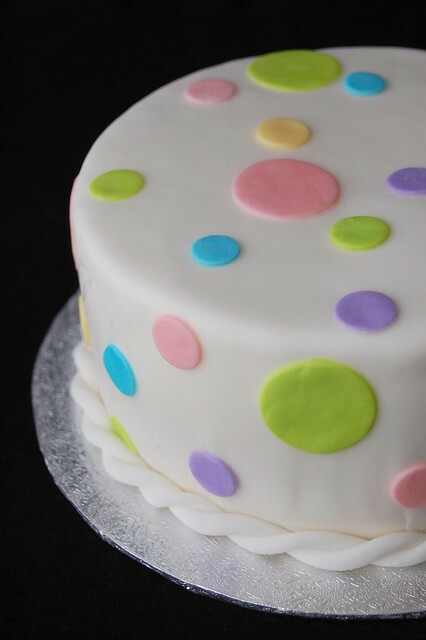 May has been an extremely busy month for us, filled with birthdays, un-birthdays, an anniversary, a wedding cake, and my very first Mother's Day. 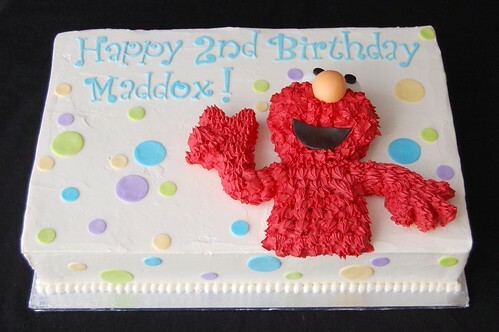 The month started with an Elmo birthday cake for our little friend Maddox. Maddox is a lovely boy who loves trains and will soon be a big brother to a new little sister. His Sesame Street themed birthday party featured Elmo and B had much fun at the huge open gym venue. 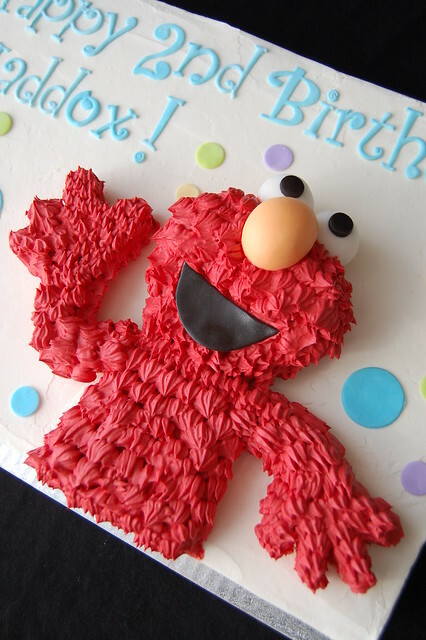 The 10" x 15" sheet cake was topped with a contoured Elmo, made hairy by piped red buttercream. I was glad that Maddox's mom and dad did not want the entire cake to be Elmo, as that much red buttercream (and the red colouring in it) scares me a somewhat. Inside, the vanilla cake was layered with mango curd and mango mousseline. Having some leftovers, I assembled a 6" cake for my family which was perfect because it happened to be my parents' 45th wedding anniversary that weekend too. In addition, my two nieces, who both have birthdays in the fall, were going to celebrate their Un-birthdays. Un-birthdays were unknown to me until recently. So, being 3 1/2 and 7 1/2 years old now deserves cake too!